Finding the right colors to paint your walls seems like it should be easy, but can be surprisingly challenging. 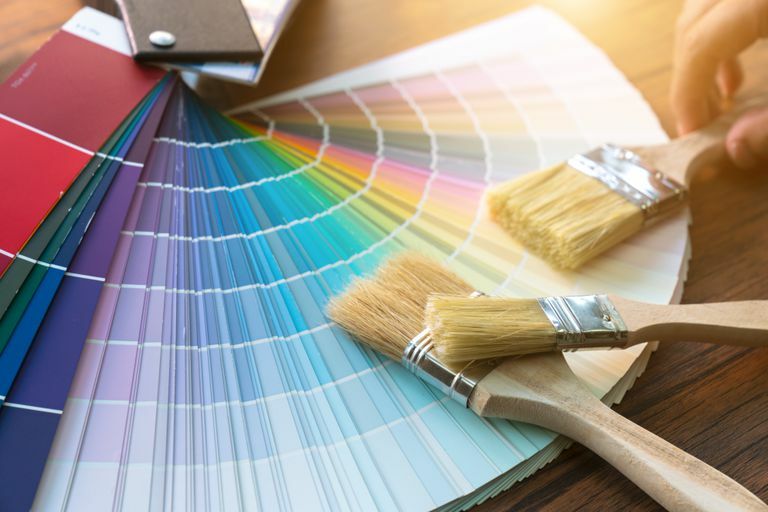 You may think you’ve got it figured out, only to find the color looks much different painted on your wall than on the color card you picked up at the home improvement store. There’s no foolproof way to make sure you get the color you want, but some of the following apps can help. They enable you to find, match, save, and buy paint colors. Warning: Due to variations in screen quality and other factors, the colors you discover on these apps will rarely look exactly how the paint will appear on your wall. Use the apps in conjunction with other methods, such as color cards from your paint retailer, or painting a small area of the wall in the color you’re considering. This fun app allows you to snap a photo of a part of your house and turn the colors there into a palette. Next, snap a photo of a room where you want to paint the wall, and try out the palette colors in the scene. Share your masterpiece with friends online. Finally, explore similar colors to make sure you pick just the right shade, and get information about coordinating colors. The app is free. Use this app in conjunction with the Nix Mini™Color Sensor to “grab” colors from any surface or photo. When you place the sensor on the surface, the app displays the exact color. Then you can search a variety of paint brands to find the best match and locate the closest store to purchase it. Save scanned colors for future use. The app is free, but it only works with the sensor ($99). Tip: You can also use the color matching function for graphic design projects. Remember going to the hardware store and selecting paper cards with variations of paint colors on them to take home? Now you don’t have to leave your house to find the perfect color for your next room painting project. Just download this app and use it to discover new colors or preview your choices in room scenes. The app is free. Note: The app only includes colors from the BEHR brand, which is sold exclusively at The Home Depot. If you like Benjamin Moore paint, this app is a good companion. Use it to snap a photo of any object whose color you like, then find out which paint color most closely matches it. Save colors, add notes, and share with friends. You can also explore colors and color combinations, or locate the nearest retailer. The app is free. This simple app does exactly what the name says: it tests different colors of wall paint on a photo of the room. Use the color picker and “smart paint bucket” to easily and quickly change the color. You can even use more than one color at once to create an accent wall. The app is free.